Here at Elite SFN we offer personal training and support that most gyms don't offer. Our personal trainers teach, instruct, advise, design workouts, motivate, encourage, and become a partner on your journey to wellness. We offer personalized training and lifestyle plans for youth, teens, adults providing support for weight loss, rehab, mobility and strength. Personal Trainers are helpful after injury. Most people go through rehab but stop after it's over. We recommend hiring an experienced trainer who will help with post rehab workouts to continue building up that injured body part. From recommending exercise equipment, designing home gyms, diet and nutrition options, at Elite SFN, we have the best fitness training and support for men, women, and small groups. Personal Trainers provide accountability and discipline. Elite SFN Personal Trainers will teach, instruct, advise, design workouts, motivate, encourage, and be a partner on your journey to maximum health & wellness. I don't need a trainer, I can do it myself. Our Personal Trainers in Columbia, MD can help with designing the right workout routine for your fitness level. Your personal trainer will make sure you're doing the right amount of weight/reps and make sure form and technique is correct. We will be with you at all times taking mental notes and keeping a log of everything you do in your personal training session. For the more season or experience client we can design a workout that may push & challenge you even more. From high school to pro athletes, having an Elite SFN personal trainer push and guide you through your workout is the best way to achieve your fitness goals. When you exercise and train with our Elite SFN certified personal trainers, you will receive the motivation and education you need to reach your fitness goals and start leading a happier and healthier life. First you create your "big picture" of how you want to take charge of your fitness, and identify the large-scale goals that you want to achieve. Call (443) 545-5123 or complete the form below to find the Personal Trainer who is right for YOU. Find Personal Trainers Columbia at the Elite SFN Gym located @ 9190 Red Branch Rd, Columbia, Maryland 21045. 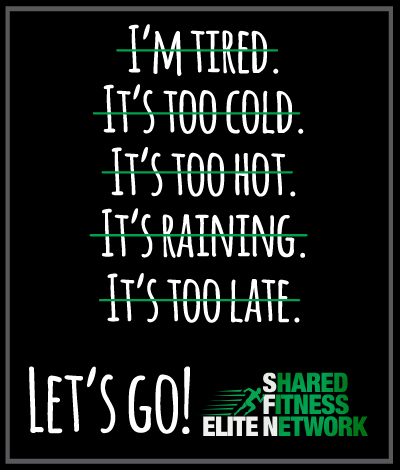 Elite Shared Fitness Network is a central location for everyone looking for certified personal trainers and fitness coaching for the Baltimore, Columbia & Washington DC area. Convenient personal training for Ellicott City, Columbia, Woodstock, Woodbine, Catonsville, Clarksville, Dayton, Elkridge, Ft. Meade, Odenton, Scaggsville, Fulton, Glenelg, Jessup, Savage, Laurel, Marriottsville, Mt. Airy, River Hill, Glen Burnie, Pikesville, Washington DC and Baltimore, Maryland.